Lime adds that extra punch to any dish. It provides the sweet and tangy flavor which is quite distinctive. 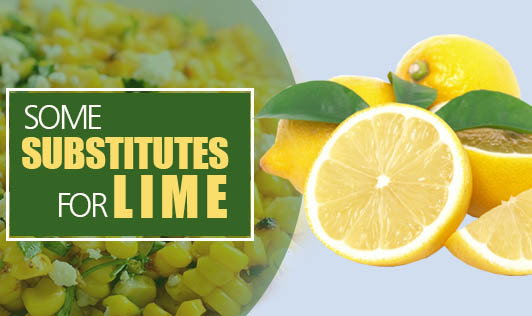 But if you have run out of lime juice in the middle of cooking, the substitutes mentioned below can work just as well for you and can lend versatility to the dishes. The trick here is to know the use of lemon in that particular recipe so that it becomes easier for you to replace it. Citrus Flavor: Salad dressings and marinades sometimes call for the use of lemon to provide the savory citrus flavor. Frostings and whipped cream toppings also make use of lemon for the tart flavor it imparts. If you don't have lemon juice, use the same amount of orange, pineapple, or lime juice instead. Acidity & Sweetness: Lime juice is often added over sliced apples to prevent discoloration. Alternately, you may use maple syrup, agave syrup, or honey instead. Just make sure to reduce the amount of sugar if you are planning to use it for making an apple pie filling. Acidity & Savoriness: Vinegar or white wine can also replace lemon juice in salad dressings and marinades. Cut the quantity in half as both lend strong flavor. Uniquely Lemon Flavor: Lemon zest comes to the rescue when you need that characteristic lemon flavor. Zest refers to the outermost layer of the lemon peel. It contains lemon oil, and adds a distinct, pungent aroma and flavor to any dish. It can be uses in salad dressings, marinades, and baked foods. And if you run out of fresh lemons at home, use dried zest instead.